MANAGED CARE: IS IT WORTH IT? Last month, we described how some managed care companies use audits and extrapolation tactics as a method of demanding large refunds for over-billing based on historic charges. But there are more conventional means by which payers are denying us proper reimbursement – delaying or reducing claims payments, applying procedure discounts, selling our services without permission, and concealing fee schedules. Unfortunately, neurologists do not typically learn about payer abuses until after they have provided extensive services to patients. “Despite repeated advice to scrutinize managed care contracts carefully, most practices are too small, with too little expertise, legal backup, and interest to do so,” said Marc Raphaelson, MD, a member of the AAN Medical Economics and Management (MEM) Subcommittee. 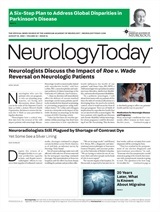 “General neurologists in the DC area have begun to limit their managed care participation by paring the bottom 20 to 25 percent of contracts annually,” he said. Indeed, if your schedule is full and your new patients are experiencing lengthy wait times, or if you provide a unique service within your local market, you should be more aggressive in resigning from undesirable plans, experts agree. Even if that is not the case, undertake a careful review of your cost of doing business with each payer. Many practices sign contracts at face value, solely on the basis of fee schedules. However, in order to evaluate managed care participation realistically, your practice should consider whether payer quality of service is acceptable. Some of the data needed to evaluate the work factor – gross charges, age of accounts receivables (AR), and collection rates – can be found in practice management system reports. Your staff can also identify which insurers give them the most hassles, including payers that engage in systematic down-coding, take up the most staff time with telephone calls, force appeals, re-submission of claims, and requests for additional documentation, or create authorization and referral roadblocks. Such behaviors, whether intentional or not, inevitably result in considerable drains both on employee time and practice resources, and thus turn these payer contracts into money-losing propositions. Beware of contracts that have a limited disclosure of fee schedules. Payers often offer reimbursement information on codes they self-select. To make that fee schedule evaluation meaningful for your practice, take the time to analyze the frequency of services and procedures that you provide. It is prudent to compare the payer fee schedule amounts to both high volume codes and normally high-paying procedures. Consider the ramifications of a fee schedule that pays 80 percent of your charge for an intermediate office follow-up code but 35 percent for a neurodiagnostic procedure that accounts for 50 percent of the frequency of your services! Recognition of payer discount policies and review of managed care contract language can avoid some traps and related loss of income. Perhaps the most commonly used payer fee cut is the practice of down-coding. “Some contracts cap E&M at the fourth level of service; they won't allow E&M billing at level five”, noted Dr. Nuwer. Many others reduce levels of service based on undisclosed criteria or software that ties reimbursement to diagnostic codes. And although E&M services are most frequently down-coded, Dr. Nuwer warns that for neurologists, procedural discounts are also common. “Some payers apply discounts to nerve conduction codes after the first nerve. This subverts the original evaluation of the service (that limited the usual number of nerves to three, for example) and effectively ‘double discounts’ the procedure,” he explained. Melvyn L. Haas, MD, a neurologist in Aiken, SC, who has been in practice for 31 years, keeps a copy of the AAN ICD-9 code handbook on his desk so that he can do his own coding and add any modifiers that are not printed on his billing slips. Nevertheless, he has received multiple procedural denials from one carrier – for evoked potentials (EP) as ‘experimental procedures’, for EMGs as ‘incidental’ to nerve conduction studies (NCS), and for consultations performed on the same day as lumbar punctures (LPs) despite the appropriate use of −25 modifiers. “It took months to straighten out the EP and EMG mess,” he said. “The carrier kept stating that my claims did not meet their indications, but they refused to tell me what the indications were. Finally my insurance clerk got the name of a physician Vice-President and, upon review, my claims were paid,” Dr. Haas added. He is still waiting for a response to his complaint regarding LPs. He discovered that the insurer bundles LPs with E&M codes, as is often done for surgical procedures. “How can I possibly know that an LP is necessary without performing an examination?” he asked. Even after you regularly review payer service and contract language, the challenges are not over. Sometimes, discounted fees are applied when business deals take place without our knowledge. For the past ten years, the managed care industry has increasingly employed Silent Preferred Provider Organizations (PPO) arrangements. In this scenario, a provider network sells its provider lists along with the discounted fees to a third-party payer. The patient's insurance company pays its fee to the PPO in order to use its negotiated discount. The neurology practice only becomes aware that a silent PPO arrangement has been made after providing services to a patient who is not covered by the PPO. When the practice files the claim, the reimbursement is less than the full expected payment. This strategy is often successful because the practice is not aware of these tactics. Additionally, most offices lack the time and resources to initially verify patient enrollment and ultimately pursue these differences. Most experts recommend that medical practices review their managed care contracts to be sure that they do not sign “all payer” clauses that permit the payer to sell or rent its negotiated discounts to other parties. If your payer has affiliates, make sure that your contract lists all affiliates to prevent silent PPO activity. Payers also use a related practice called PPO stacking or “cherry-picking” to “shop” a claim from a provider to multiple PPOs in order to use the arrangement that will yield the lowest reimbursement rate. Some payers withhold an additional discount from reimbursement to cover their own losses. Most often, these funds are not returned to providers. These “withhold clauses” may also require physician practices to cover the deficit in the event of a payer-operating loss. Scrutinize agreements for provisions that mandate your participation in all policies as a condition of participation. This may force you to agree to fee schedules that are unprofitable such as discounted Medicare or Workers' Compensation policies reducing payment as much as 50 percent. Or they may require participation in policies with unknown business risks. Make sure that you consider the financial consequences of signing contracts with these provisions. For example, Medicare reform legislation passed last year by Congress provides for substantial interim payment increases for Medicare+Choice plans in 2004 and 2005, so that these policy choices may become more popular. Dr. Haas advises neurologists to be persistent when appealing claims denials. “You can usually outlast payers once they realize you won't give up. I write a letter, then I try calling – but be prepared to hold forever. I work my way up to a supervisor, and occasionally luck out and get the name and address of an MD to whom I can submit an appeal.” Like many neurologists, he relies on his billing staff to begin the appeal process. Although bill-auditing services routinely used by insurance carriers continued to attempt to down-code his bills, they were far less successful in prevailing after his staff was properly trained. Recognizing this goal, the AAN has welcomed the Business and Research Administrators in Neurology Society (BRAINS), a group of academic and private practice administrators, as new members. “Reimbursement for clinical services is at the top of our mission statement,” said Bill Hamilton, who will hold the first AAN-sponsored meeting of the organization at the Annual Meeting in San Francisco. Anyone interested in joining the BRAINS group to discuss practice issues and network with peers should contact AAN Member Services at aan.com, (800) 879-1960, or (651) 695-2717 (international). Some payers advertise that they pay at 120 percent of Medicare for “most procedures” when in fact the procedures neurologists use the most are paid at 70 percent of Medicare. Look at the details. Some payers have secret fee schedules that deeply discount high levels of E&M service. Don't tolerate secrets. Contracts should be open book. Ask that payers reimburse the Prolonged Service codes when medically necessary. Ask that payers reimburse for time spent by staff and physicians filling out and phoning in special insurance services such as obtaining authorizations for procedures and visits. Use code 99080, and ask that it be paid in multiple units of 15 minutes each for time spent over and above the ordinary work associated with visits and ordering tests. This needs to be specified in the contract.